With its scalable design, customisable modular integration, and open interface, GALAXIS™ has solutions and applications to manage all areas of the casino. GALAXIS™ SLOTS is IGT´s advanced and powerful slot management system for fast and efficient slot accounting,reporting, monitoring, and maintenance of the entire slot floor, with information relating to each individual slot machine. GALAXIS SLOTS is suitable for casinos with any type of slot machine using standard industry protocols. While delivering real-time access to high-quality slot floor data, real-time monitoring, and alerts, GALAXIS SLOTS optimises yourbusiness processes, supports your slot managers with fast and efficient information, and ultimately reduces costs,complexity, andredundancy. GALAXIS SLOTS provides flexible coverage of different international slot accounting operations processes. It also complies withthe main operational regulations worldwide. It covers the largest collection of slot business procedures in the industry. Floor Messenger sends messages for events, such as slot machine tilts, door openings, hot player detection, and jackpot amounts,to receiving devices. Devices such as PC workstations, mobile phones, and jackpot displays on websites can easily be configured toreceive messages from slots and tables. Our extensive alarm and notification system increases customer service due to short reaction time to events, reduces costs bylimited machine downtime, and increases security by immediate staff notification. Floor Master™ is an interactive, real-time slot floor and table monitoring application on desktop PCs and tablets. 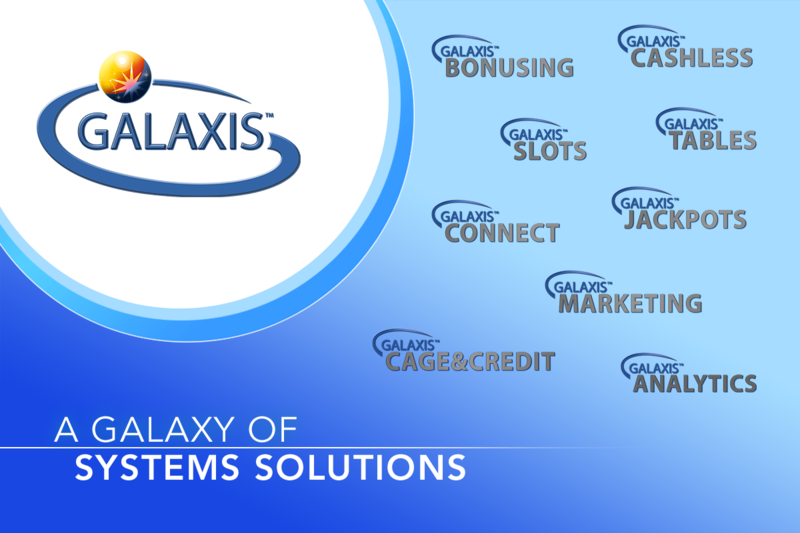 Our wide range of GALAXIS™ MARKETING solutions provides the tools to attract and reward casino players andpromote customer loyalty. GALAXIS MARKETING delivers valuable player data to the casino through player tracking, wherecarded players are tracked in real time on slots and tables. With this system, you can launch customer loyalty programmesand targeted marketing campaigns to recognise and reward your most valued customers. It encompasses non-gamingactivities throughout the casino including food &beverage, shops, as well as general marketing programmes forthe venue. The GALAXIS MARKETING module interfaces with GALAXIS JACKPOTS and GALAXIS BONUSING toprovide an array of targeted rewards and incentives to promote an enhanced player experiencethroughout your casino. myGuest™ is the essential tool to allow casino operators to deliver the appropriate level of personalised rewards, services and player value recognition – all directly on the floor. Slot attendants and marketing users can access real-time and historical player data to develop one-to-one relationships and provide personalised rewards on the spot. Attract players to the casino by sending targeted promotions by SMS or email. Players avoid the queues by redeeming their promotions directly on the slot machine’s CRYSTAL.net™ player interface. Players can consult myInfo on the slot machine via the CRYSTAL.net player interface for all kinds of gaming information, including jackpot history, slot machine winnings, and the latest promotions. Members can also consult their loyalty club account. They get all the information they want without ever leaving the slot. 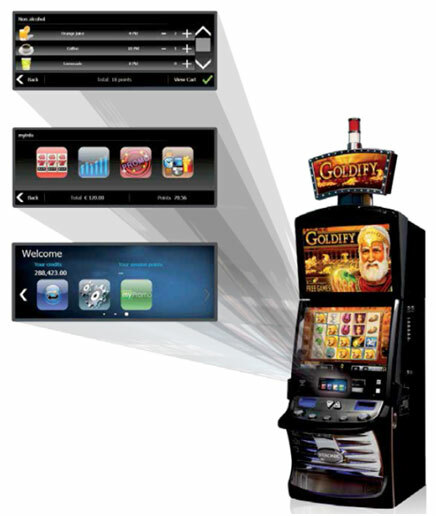 Players order food and beverages directly from the slot machine via the CRYSTAL.net player interface without interrupting play. myBar provides convenience and a high level of service to players, and boosts food and beverage revenues. A touchscreen terminal placed at the bar allows staff to validate the orders and deliver them straight to the slot machine. Club members will be pleased that they can also pay for drinks with their loyalty points. Create the excitement of jackpots in your venue with GALAXIS™ JACKPOTS: tried and tested technology for a range ofjackpot types. It can be operated stand-alone or with other GALAXIS modules, such as GALAXIS CAGE & CREDIT, to manage payoutsat the cage. The system comprises trigger devices for multimedia shows, as well as a great range of display facilities for our MULTIMEDIASIGNAGE system, which can also be used throughout the casino. Casinos can reward players in a multitude of ways by combining multiple criteria including jackpot trigger thresholds,scheduling, jackpot prize, participating player eligibility, and payout destination. Our mystery jackpot templates offer outstanding revenue-building opportunities and tremendous value. Rub4Riches™ brings the thrill of instant reward scratchcards to the slot machine on the Crystal.NET™ player interface. several campaigns can run at the same time. Winnings are converted to points and credits to bonus your players and boost loyalty. TimeBomb FEVER allows the casino operator to guarantee jackpot hits within a specified time. Designed to boost low activity periods in the casino, it’s like a ‘time bomb’ – the casino operator simply configures the time period and the number of times the jackpot will hit. OnTarget FEVER reserves a jackpot for specific player segments. It can also be programmed for a predefined time. 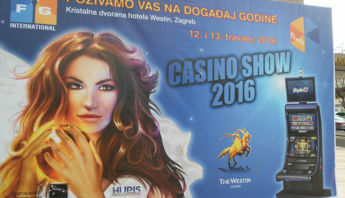 Designed to boost the casino’s targeted player marketing programmes, it could target women for ‘Ladies‘ Night’, players who have been members of the loyalty club for over one year or under six months, or any of the casino‘s selectable criteria. food and beverages, special offers, or to promote the loyalty club to uncarded players while they play. Casinos are moving to cashless payment systems to provide maximum comfort and convenience to players, and to streamlineoperations. With GALAXIS™ MARKETING, our cashless payment solutions become a marketing tool, for player tracking and fund transfers, as well as loyalty club bonus points rewards or non-redeemable credits. cash wallet™ is a smarter, more cost-effective cashless payment method that provides more flexibility and choice for commercial casinos. 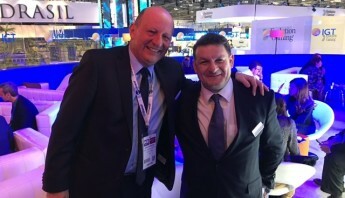 It has all the security advantages of a smart card and offers the ultimate convenience for players and operators while dramatically reducing costs. The player‘s money is securely stored in a database server, and accounts can be created for both registered and anonymous players. Players simply insert their magnetic stripe card into the slot machine and use a secure PIN. With cash wallet, should the player lose his card, he doesn‘t lose his cash! qpon cash™ is our Ticket-In, Ticket-Out solution for issuing and redeeming tickets with the definition of ticket value and expiry dates, and includes reporting. By offering both system validation and secure enhanced validation methods, qpon cash helps operators run their operations with greater flexibility. 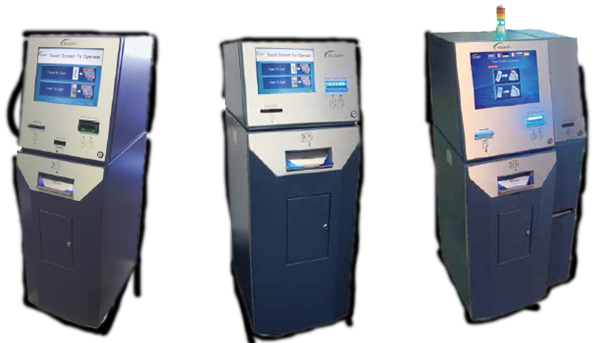 The Cash Redemption Terminal, supplied in partnership with ecash, has all the optionsyou need to provide cash convenience to players on the casino floor. It is a note breaker,provides currency exchange services, and can be used with tickets, magnetic stripe andchip cash cards. The ecash terminal helps reduce standard workload, improves security, and isconvenient for players. ecash is provided with Remote Monitoring Software (RMS) to monitor cash levels live on the casino floor. The system canautomatically alert casino service staff in the event that a warning status appears on the RMS, thus reducing downtime. GALAXIS™ TABLES is IGT’s advanced table management system, providing a wide range of automated featuresthat make daily table game operations, including Black Jack, Roulette, Punto Banco, Poker, and others, easier to manage. It can be adapted to operators’ business procedures, and it is the quickest in the market for data input. 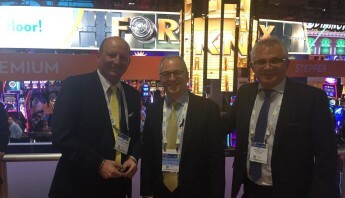 This translates intoenormous time-savings for staff and enables a greater focus on operations, leading to significant cost savings for casino operators. reward your table game players by calculating their handle, down to every single hand. JUNKETS, the newest application in the GALAXIS TABLES module, streamlines the management of junkets for the casino by providing reliable accounting and reducing the cost of operations. JUNKETS support Rolling Chip and Profit Sharing and can handle an unlimited number of junketeers, players, programs, program tiers and trips. Live analysis during the trip is provided, showing all transactions, one chart per transaction type, reached tier and current commission. All reports can be tailored to the customers’ needs. The Electronic Chip Tray is a key component for an advanced information system. your table float and increases security and efficiency. card games, as well as a double 8 rows for roulette tables. Poker CardGate is a fully automated system for Texas Hold’em Poker tables for Limit, Pot Limit, and No Limit tables. Itmaximises accuracy, increases productivity, and delivers compelling messages and information to poker table players. A new Progressive Jackpots feature allows operators to provide the excitement of jackpots to the poker table for the first time. The application shows the total pot amount (with support of side bets) and the player’s win and rake amount in real-time usinga simple and convenient display. DisplayMaster™ is a deluxe roulette display that shows game information and game history on its 22-inch TFT screen, runs multi-media shows, and displays ticker messages. A multi-table display can also be added at strategic locations within the casino to inform players at a glance about what is happening on up to six different tables, with the ability to mix game types. GALAXIS™ CAGE & CREDIT is a complete vault, front cage, and credit management tool. This proven and flexiblemodule means your payment system is ready to quickly adapt to evolving technology and new payment methods. GALAXIS CAGE& CREDIT is a process-oriented solution that has the flexibility to support any casino operation, yet maintain the important, inherentsecurity principles that a cashier solution requires. Most importantly, it provides comprehensive risk management. 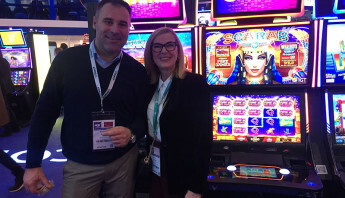 GALAXIS CAGE & CREDIT supports internal casino transactions, such as reconciling revenue with slot machines and tables, as well as client activity, like smart card and cash transactions. Operators have the ability to consolidate financial revenues between the cage, credits, slots, and tables. Increase productivity and performance, quickly access key information, improve the quality of financial information, and realise the benefits of this front cage module. gameViz™ is a powerful, easy-to-use gaming industry suite of products to help casino operators optimise their gaming operationsand drive additional revenue and profits from their casino floors and customer base. Provided in partnership with VizExplorer™, gameViz presents data in highly-advanced “Super Graphics” to enable operators toreally understand what is going on in their business and what they can do in practical ways to directly improve revenue and profit. • Quickly identify underperforming machines so they can take action to reconfigure the gaming floor. • Build a picture of how much players are spending on games so management can directly improve profit. • See immediate ROI from new machines and machine moves. • See how location on the floor affects slot performance. 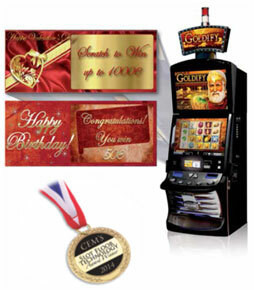 • See where specific groups of customers are playing on the gaming floor. • Pull mailing lists from casino floor maps by directly clicking on a machine or a group of machines and getting a listof players who have played on those machines. • Pull a list of players from a certain game type or selection of machines and see where else they play on thegaming floor. • Analyse promotions according to where customers are redeeming their offers on the floor, and identify anypatterns in profitability. • Create “mini-casinos” within areas of the casino and market to players in each group separately. • See which multi-games players prefer. 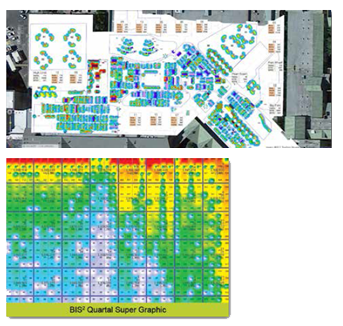 floorVizPLUS helps you maximise revenue and yield by better managing customer trips. Easily see who is playing, how much they spend, and how often they visit. Understand players’ true game preferences and the impact of a game change in a multi-game environment. aimViz enables you to understand the revenue and behaviour of your customers in one single picture. See and understand player behaviour, customer segments, and the ROI on your marketing investment. 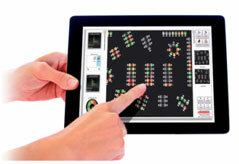 tableVizPLUS enables you to rapidly understand your table games‘ performance. See how much your table game players are spending on particular table games in response to promotional offers so you can directly improve profit. Included in the GALAXIS ANALYTICS solution, Slot Performance Analysis (SPA) is business intelligence reporting for the slot floor,including multigame and multi-denomination machines. This multi-site replication feature provides users with a consolidated view of operations in all the gaming sites from a centralpoint, such as the casino HQ. Business Objects technology creates reports showing revenues and performance for each venueas well as consolidated reports for the group. Dashboards provide business intelligence in a nutshell for busy managers. The dashboards give a concise and interactivesummary of business knowledge through a packaged set of key performance indicators. Accessible from any web browser and intuitive to use, the user can input values (such as date range, type of indicator required, and player level) to filter theDashboards and display the information required. CRYSTAL.net™ is our powerful next generation network platform with player user interface on the slot machines. It supports the wide range of GALAXIS modules for seamless casino management across the casino floor. The new touchscreen player interface delivers directed communications, marketing, and services to players at the slotmachine. 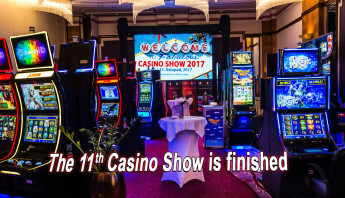 CRYSTAL.net allows casinos the flexibility to customise the display and menu options and add their own multimedia animations, advertisements, and jackpot celebrations. myInfo, myPromo, Live Messages, EGMReservation, and Language Selection support. It supports the wide range of GALAXIS MARKETING loyalty club features to drive player loyalty programmes in your casino, and interfaces with loyalty club cards. The robust hardware base also provides full support for our GALAXIS CASHLESS modules qpon cash™ ticketing andcash wallet™ magnetic stripe card.